When it comes to storing data, size matters. Ask anyone who owns a computer if they’d like that shiny but small hard drive or if they’d like that not so shiny but mahoooosive hard drive. I’ll wager they’ll go with the mahoooosive option every single time. 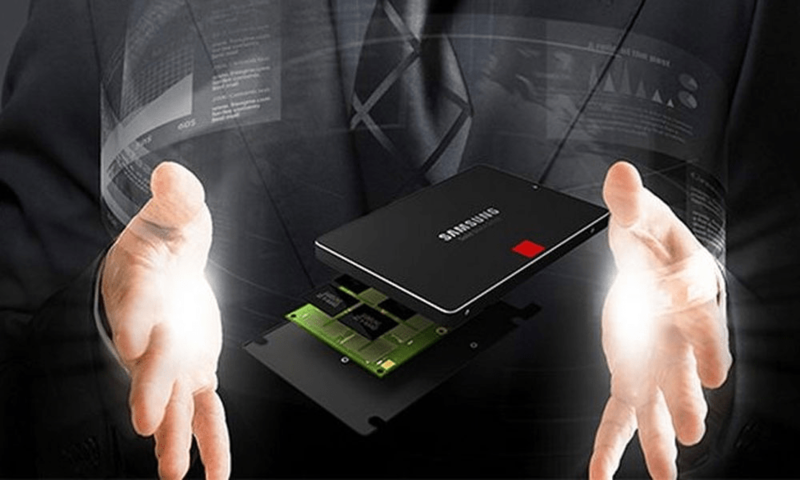 This wisdom hasn’t been wasted on Samsung, which has just unveiled the world’s biggest solid-state drive (SSD). 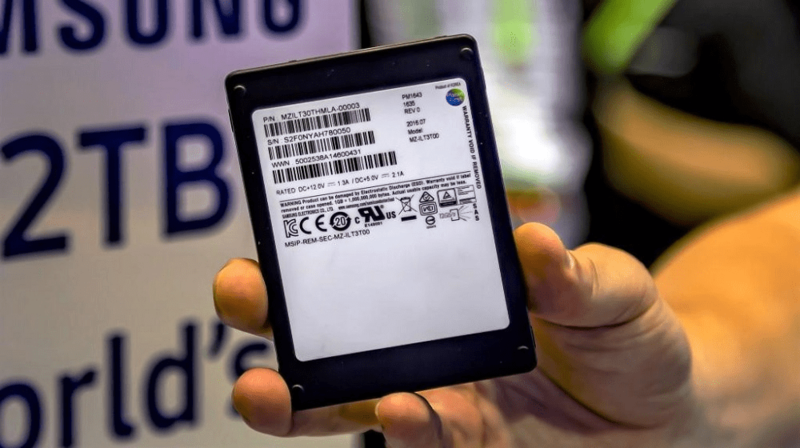 It might not look like much more than a run-of-the-mill SSD that needs Jenny Craig clinic time, but under its hood sits a whopping 30.72 terabytes of storage. Considering the whole shebang is about the size of a deck of playing cards, but runs many, many times faster than an old school mechanical hard drive and consumes far less power/generates less heat, the whole SSD conversation is suddenly looking very compelling indeed. Samsung’s launch raises the bar for storage. No one has ever managed to cram that much capacity into a 2.5-inch SSD before. From a technical perspective this feat was achieved using 32 sticks of 1TB NAND, with each stick containing 16 layers of 512Gb V-NAND chips. To put that into perspective, we’re talking 500 days of non-stop video playback. The drive isn’t just a whopper size-wise, but it’s fast too, due to its use of a Serial Attached SCSI (SAS) interface. Early reports are that it is capable of sequential read/write speeds of up to 2,100MB/s and 1,700 MB/s – that’s three times the speed of most typical SATA SSD drives found under the hood in consumer PCs. You will, however, need a mobo (or adaptor card) that supports SAS connectivity. If, like me, you are already salivating at the thought of quiet, robust and blisteringly fast storage with parsecs of capacity, you may want to hold fire. Firstly, the drive is really designed for data centres as a replacement for high capacity and power-hungry mechanical drives in servers, and secondly, it isn’t available yet. 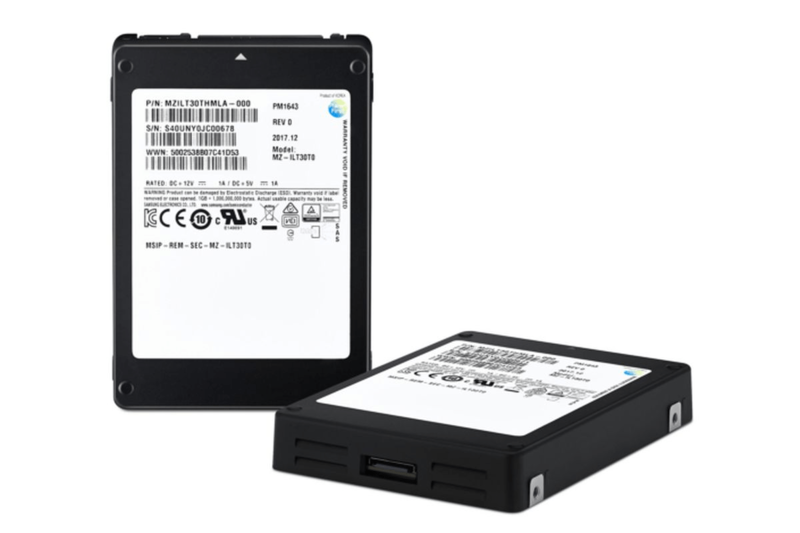 Samsung has said it will expand its range of SAS SSDs later this year/early next year.